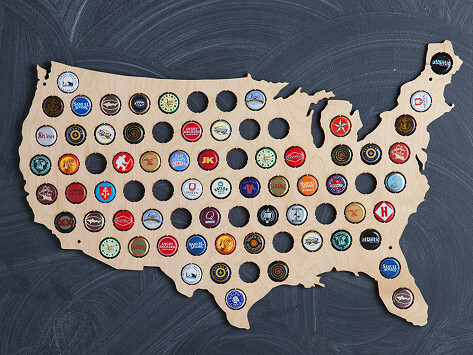 Keep track of all your favorite beers, geographically. 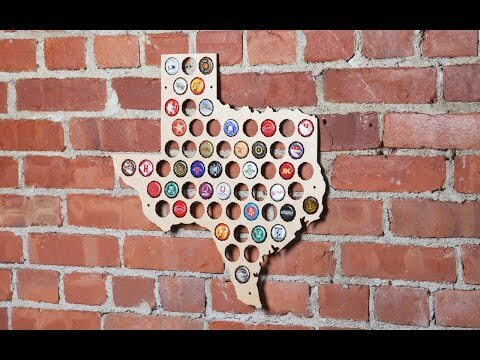 The Beer Cap Trap is a laser-cut, wooden wall map of the U.S., with holes made to display the caps of memorable brews from all across the country. Dimensions: 24" x 16" x 0.25"